Do you want to work at a ski resort in Banff or with a tour company in Vancouver or at a restaurant in busy downtown Toronto? This Casual Work Experience Program is ideal for young adults who wish to gain valuable work experience while earning money to support their stay. Candidates will improve their English or French skills, meet many Canadians, immerse themselves in culture and discover beautiful Canada!. The Casual Work Program’s city option is tailored for casual students, those whose main goal in Canada is to have fun. This program will place them in the food services sector and allow them to meet Canadians and earn money to supplement their stay. CWE-Resort puts students in hotel positions throughout BC, the Rockies and Ontario’s Muskoka district* (*summer only). Students work in housekeeping positions – those with experience may also work in higher end jobs such as front desk or night auditor. The resort placement option is ideal for price conscious students – as subsidized staff accommodation is included in all placements – and also for longer term hospitality students. These positions are available in the cosmopolitan Canadian cities of Vancouver, Toronto and Montreal. 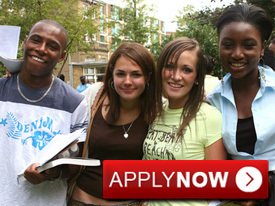 All placements are arranged before the student arrives in Canada. Students are able to choose their work location, but not a job. Type of job	 Entry level jobs in hospitality (housekeeping, waitressing, bartending etc.). Salary (other benefits)	 CAD $9-$15 per hour plus tips (depending on the position). Accommodation Assistance with looking for long-term accommodation upon arrival will be provided. Location of job placement Canada, mostly Vancouver, Toronto and Montreal. Duration of the placement	 From 12 weeks up to 1 year. 2. Be aged between 18 and 30 (candidates from some countries can be 35). Programme cost Only now DISCOUNT price - total of 850 CAD. Cancellation The booking fee of 300 CAD is non-refundable. Check programme costs and cancellation policy. These are all paid positions and candidates will earn CAD$9-$15 per hour plus tips.